The other evening, I was having over-drinks conversation amongst mixed professionals and it came out that I teach five year olds. “That’s cool, I mean, everything I ever needed to know, I learned in kindergarten” was immediately quipped back at me citing the 1988 essay by minister Robert Fulghum. My innards suddenly flip-flopped, and not because of the sensitivities of my stomach to the merlot, or my atheistic brain of the connection between my profession, nay- my calling, to the ancient musing of a minister but because of something else I couldn’t quite place my finger on. Walking home later, I thought about it, did all I ever really need to know I learned as a five year old? Did the premise hold true 24 years after Fulghum’s essay was written? No, the answer is simply, no. We live in a shifting paradigm in which we are teaching children who are learning for jobs that don’t even exist. We are teaching children who have connectivity with the entire world and who, by the time I had mastered tying my shoes and figured out to not lick light bulbs, will have learned to make their own apps and programs. It has become our mandate to teach not just sharing and caring, but also coding. The onus is on teachers to develop the skills and aptitudes needed to integrate technology as an integral part of their teaching and learning cycle. So teachers, get out of your comfort zone and into the place where the magic happens (yes, I said magic- but purely in a literary-parlancey kind of way). There are many new and interesting ways that technology can be used for collaboration, communication and creation within the learning environment. Teachers are using Pinterest boards such as http://pinterest.com/edpublishing/ to post innovative tech for the classroom. Blogs such as, http://www.edutopia.org/blogs and http://www.teachthought.com/ as well as tech hubs such as, http://www.scoop.it/t/technology-in-education are dedicated to providing resources, inspirations and practical tips for use of technology integration. My own learning environment is Reggio inspired and PYP driven, and the focus for technology is on playfulness and creativity. Children use the iPad to capture photos and create short films of learning adventures with http://animoto.com/, they make their own super heroes on http://cpbherofactory.com/ and then write and tell stories about their adventures through a puppet show app, http://itunes.apple.com/us/app/puppet-pals-hd/id342076546?mt=8. We enlist the older learners as teachers and invite them into our classroom every few weeks to showcase a new skill, app, or site that they have learned about. This benefits our older learners by synthesizing their understanding through teaching and the younger students by gaining valuable skills. More importantly, it teaches both groups that the use of technology does not have to be contained within a solitary bubble. Perhaps it is not Fulghum’s essay that should be the go-to statement of early childhood education but rather, Jane Cowen-Fletcher’s children’s story, It Takes a Village. Now more then ever it takes a village to teach a class of children. No teacher has encyclopedic knowledge of the world, but the Internet does. The world is our village, the globe our community. We need to model for students that teachers are also life-long learners by embracing the skills and aptitudes we need to develop as we experience the shift in our profession. 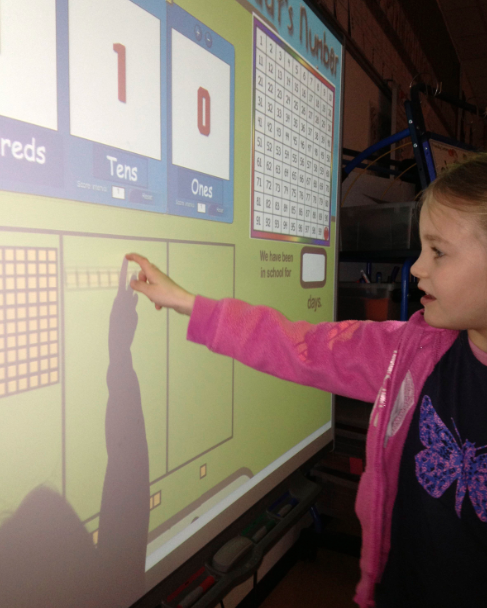 Technology gives us opportunities, outlooks and access that we simply did not have in our own kindergarten classrooms. It is a whole new world of learning. So, what technology will you integrate into your teaching and learning cycle today?